We are instrumental in manufacturing pump spares. These pump spares parts are made using quality raw material like steel & iron and are quality tested on parameters like durability and dimensions. We make available a wide range of BPCL Pump Spares to our valuable customers. Precisely designed by engineering experts, these spare parts offer optimum functionality. These parts are highly regarded for their dimensional accuracy, sturdy construction, and longer service life. By utilizing standard quality materials in their manufacture, we have ensured that these products are of optimum quality. Specifications: Tension Bolt Assembly (Ss-304) & Rubber Screen Cushion Of Shale Shaker Unit. 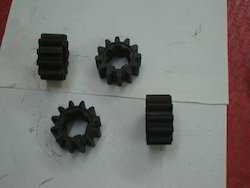 BOP Full threaded stud along with nuts. As per API std. Bop stud & nuts. Use in high pressure Flanges. 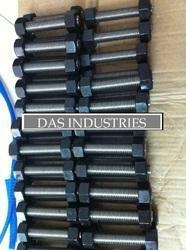 carbon steel / high tensile stud and nuts. In any sizes : as per customer requirement. we are among the leading names in the industry that are engaged in offering pump spares to our revered clients. These spares have been specifically designed for use in oil pumps and have been precisely designed by our industry experts. High grade raw materials, sourced from credible vendors, have been utilised for manufacturing these spare parts. 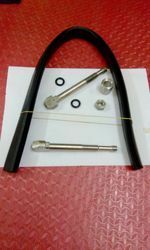 These spare parts have been designed to provide long term service. Backed by our rich industry experience, we have come up with Tong Pull Back for use in industrial applications. Manufactured using high strength rubber and other premium quality allied materials, these straps provide long service life. These are extensively used for balancing elevators in instances of bit trips. 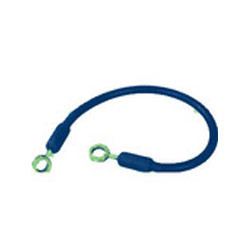 These straps provide optimal performance and have been competitively priced by us. Looking for Oil Field Pump Spares ?